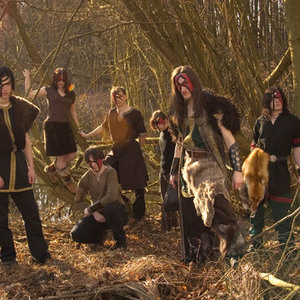 KromleK is a Folk Metal band from Bavaria, Germany, founded in 2004. It consists of Nh?vann (lead guitar), Alex (bass guitar), Aoife (violin), Fora? (rhythm guitar), Hr?sd?lgr (keyboard) and Galt (drums). They have released three albums this far, "Kveldridhur" (2005), "Strange Rumours... Distant Tremors" (2007) and ''Finis Terr?'' (2011). The music of KromleK is greatly inspired by bands like Finntroll and Ensiferum and other Scandinavian Folk/Viking Metal Bands. The music of KromleK is greatly inspired by bands like Finntroll and Ensiferum and other Scandinavian Folk/Viking Metal Bands.